Amino AcidsTested Nutrition BCAA 1360 - 240 kaps. 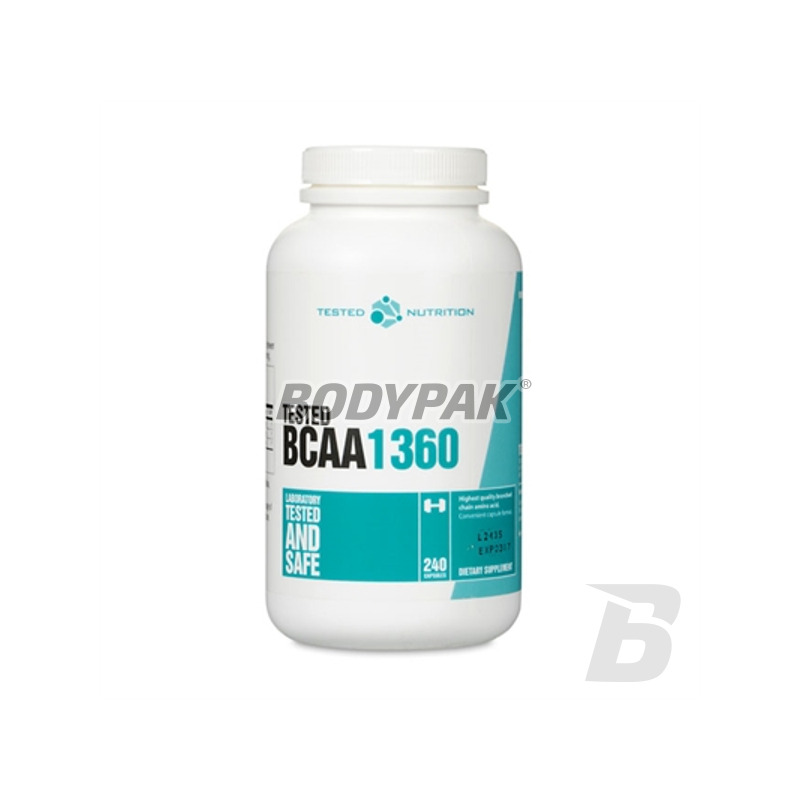 Tested Bcaa 1360 it branched chain amino acids BCAA capsules. The three essential amino acids L-isoleucine, L-leucine and L-valine are essential for rapid recovery and muscle repair. Tested BCAA 1360 is up to 1360mg of branched chain amino acids per serving nutrients. BCAA supplementation is necessary because of the unique structure of amino acids, which the body can not produce on its own. BCAA fulfill very important functions in the body - building blocks, energy and an important component of muscle tissue. Therefore, supplementation Tested BCAA 1360 is ideal for all athletes and bodybuilders. It's a great way to supplement your diet with high quality branched chain amino acids BCAA. Amino acids Tested BCAA 1360 should use all athletes, regardless of sport grown. BCAA supplement is a nutritional product training each active person. So if you exercise, whether recreationally or professionally, Tested BCAA 1360 capsules are right for you. Amino acids prevent muscle damage arising during exercise and accelerate recovery post-workout. So they are an ideal nutrient for all athletes who take care of their health. Składniki: mieszanka BCAA (l-leucyna, l-izoleucyna, l-walina), celuloza mikrokrystaliczna, stearynian magnezu, żelatyna, woda.